The craftsmanship in artistic style spray paving is now here with a surface three times the structural strength of concrete. Spray paving is the ultimate in resurfacing any type of concrete and can add street appearance, character and value back into your home. If you have an old driveway or concrete area you want to restore or refurbish, spray paving is the solution for you as it can be done at a fraction of the cost of installing new concrete slabs, pavers or bricks. In theory, spray paving is a fairly simple process. It is just a matter of grinding or acid washing the old concrete, applying the stencil pattern and spraying the liquid cement over the top. Depending on the surface of your concrete, a base coat of slurry may be needed first to ensure that the top coat, which is usually 2–3 mm thick, will be consistent with the shape and surface of the existing concrete. Whether you want a standard pattern, a brick edge or even a rosette, which is a circular design in the concrete, spray paving can be done just about any way you like. With a range of colours available, you also have the choice of using one or more colours to match the roof or bricks of your house, or you can choose a tint that will help tie the colour of your car in with your driveway and home. Spray-on paving is highly accurate in comparison to stencilled concrete as the grout lines don't tend to chip when the stencil is lifted. The concrete is mixed with colour and glue that bonds to the old or new surface to create a perfect speckled texture finish that looks exceptionally pleasing. Although some people are concerned that spray paving will lift up or become damaged years down the track, the building commission and the building regulations of Australia stipulate that Spray Pave is a fully certified product. 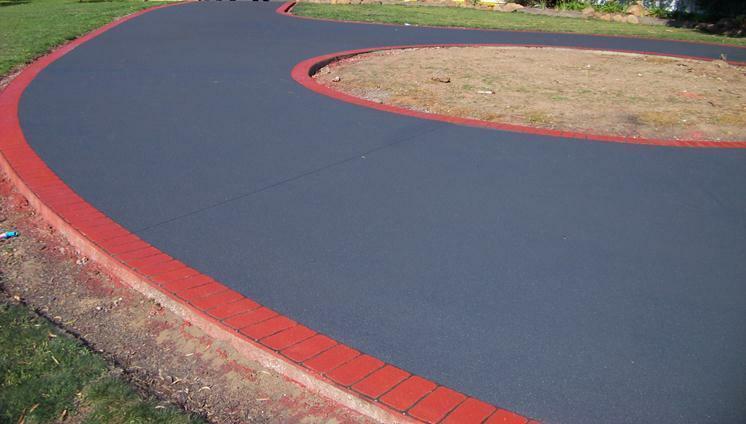 With a strength of 62 MPa, it is stronger and more durable than asphalt, bitumen and even concrete, which is why councils and state governments use it on footpaths and intersections around the country. It is also commonly used out the front of hotels, skyscrapers and areas that experience high traffic in the cities. Please note that spray paving is different from stencilled concrete, which is premixed concrete and is wet, while spray paving is a liquid cement that is sprayed over existing concrete. 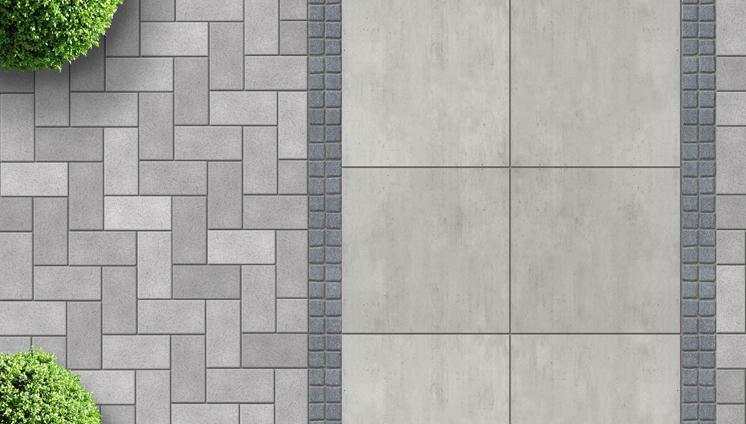 Stencilled concrete can be done with the same patterns and colours as spray-on paving, but the grout lines may not be as accurate or perfect as they would be if spray-on paving had been used. If you have seen a beautiful spray paved driveway and would like something similar or the same for your house, be sure to verify that you're not confusing stencilled concrete with spray paving as there is a noticeable difference in the finished product. By confirming and going over what you want with your concreter, you could be saving yourself the disappointment from a misunderstanding.